While the last boats of the Gato class were still building, a new series of 132 units was ordered in the 1942 War Program. 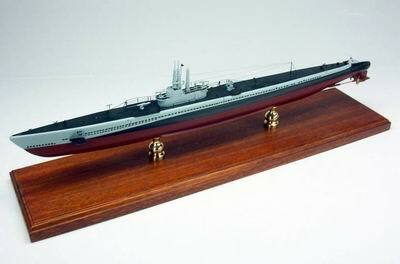 Named after the first unit in the series, the Balao submarines were almost identical as the Gato class, but several design changes were introduced to allow rapid building, using a prefabrication system which gave the submarines greater structural strength and increased operational depth. There were slight differences in the size and displacement among the boats of this class built among the various yards, but basically, all boats of this class entering service between 1941 and 1945 were almost identical. The Program called for 205 boats, but only 195 boats were completed, some were commissioned after the war had ended. The contracts for the last ten were cancelled in late 1944.